Within the cramped confines of the Kitchen Garden Café, a little Space was created on this final Sunday night in April. 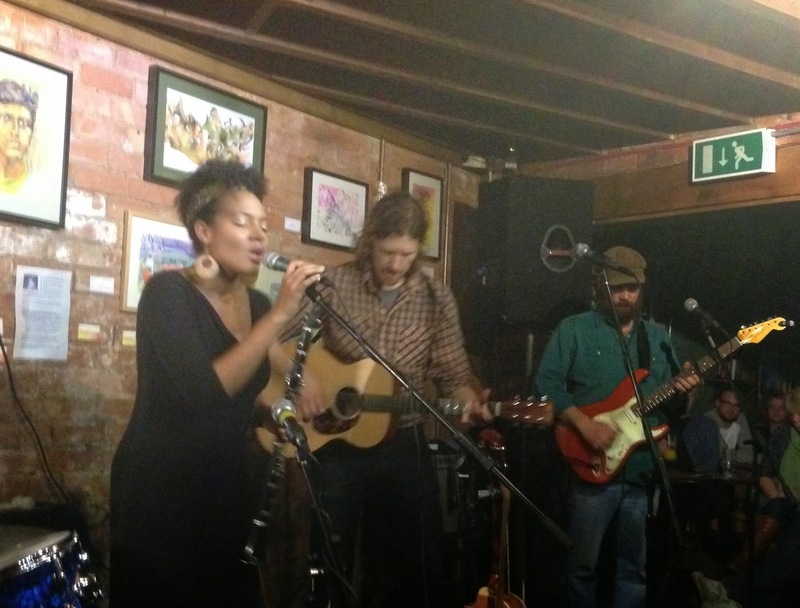 Not that there had been any changes to this intimate venue, just that Birds of Chicago managed to bring to Birmingham some of the magic from their fabulous latest album LIVE FROM SPACE recorded at an Illinois venue last year. Since that recording the band’s heartbeat, Allison Russell and JT Nero have welcomed a new arrival into their life and the four month old Ida has wasted little time in making her presence felt on their overseas tours. The immense pride of the couple has certainly filtered through to their onstage performance as we were treated to a blossoming demonstration of how to merge a country/folk rock sound with some sublime soulful blues. It was a great privilege to give LIVE FROM SPACE a glowing recommendation based on its exceptional crystal clear quality and a number of songs performed on the record were re-visited during this short interim UK and Ireland tour. From the opening notes of Alli bringing us the tub thumping ‘Barley’, the first set sprung immediately to life with the momentum carrying through to the high quality driving rocker ‘All The City Girls’ which earned the band a well-deserved break. This latter song probably tipped the balance towards the evening’s highlight although it was ran close by the catchy ‘Mountains/Forests’ and Alli showcasing her beautiful bi-lingual vocals with the carefree French number ‘Sans Souci’. Of course as you would expect from touring artists, informative chat broke up the songs often giving them some background. We learned of Alli’s complex family roots, love of seahorses, proud Canadian heritage and of life in her adopted, and JT’S long term, hometown of unsurprisingly, Chicago. This led into the appropriately named ‘Chicago Song’. The first set also saw a couple of new numbers previewed and we were promised a follow up album to their self-titled 2012 debut when they tour again next year. ‘Remembering Wild Horses’ and ‘Slow Mo Daisy’ look set to appear on this release. Birds of Chicago are touring as a four piece band this year with Joe Faulhaber providing some fine support on electric guitar and Will Waghorn keeping time on percussion. 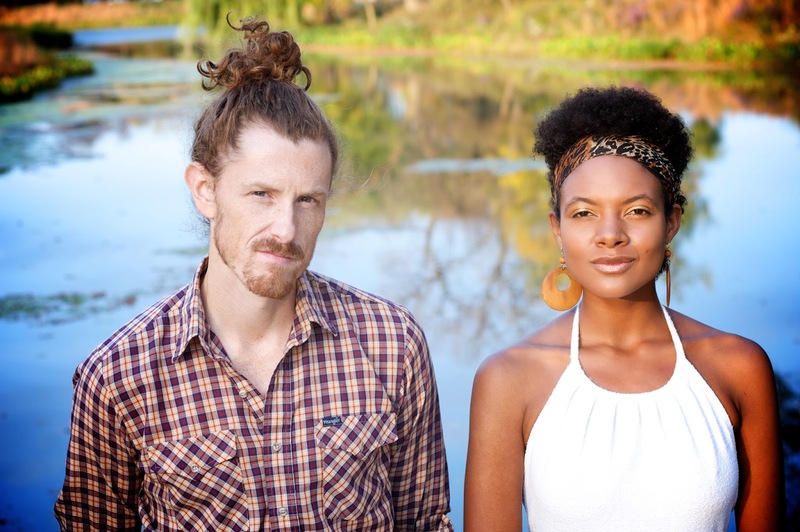 The complementary vocal styles of the rough edged rock tinged JT and the contrasting elegance of Alli’s sultry tones are a prime band feature as well as the latter’s musical contribution of banjo, clarinet and ukulele. Their prolific song writing skills were in evidence on all but one of the evening’s tracks with the exception being the Elizabeth Cotten penned ‘Gone in Pawn’ which JT had been enthralled by Alli’s old band Po Girl covering it. The second set saw a couple more new tunes aired, ‘Love Kills Shadows’ and ‘Good Dream’ both having family inspiration. These were nestled amongst old favourites such as ‘Sugar Dumpling’, ‘Trampoline’ and the excellent ‘Cannonball’. One interesting thought from the evening was how some of the band’s more up tempo songs would have sounded on a bigger platform than the brick walled acoustic haven known as the Kitchen Garden Café. Maybe if their career goes from strength to strength opportunities to frequent larger stages may present themselves. However there were few faults to be found with this gig and it was an absolute pleasure to savour a small part of the incredible atmosphere generated on LIVE FROM SPACE. The future looks bright on all fronts for Allison and JT with the Birds of Chicago project being at the forefront of this optimism, although baby Ida will no doubt challenge this on an ever increasing basis.